If you suffer frequent eye irritation and redness, you may have a condition known as dry eye syndrome. Dry eye is a common condition affecting millions of Americans. 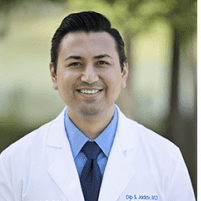 At Outlook Eye & Laser Center in Sugar Land, Texas, Dr. Dip Jadav is skilled at diagnosing dry eye syndrome, and he offers several treatments to improve your comfort and clear your vision. To learn more about available treatments for dry eye, schedule an appointment online or by phone. Why do I need tears? Your eyes need moisture to stay healthy and prevent discomfort. Tears also clean the eye and make your vision clear. When your eyes are irritated, your body produces excess tears to flush out debris and provide moisture. When you don’t make enough tears, you develop dry eye syndrome. A number of issues could keep your body from producing enough tears, such as aging, medications, or medical conditions like diabetes, lupus, and thyroid disorders. You may also suffer a reduction in tears due to blockages in your tear-production glands caused by blepharitis, an inflammation of the eyelids. Rosacea and other skin disorders can also cause blocked glands. Symptoms can affect one or both eyes. You may also find it difficult to wear contact lenses. Dr. Jadav performs a comprehensive eye exam and measures the volume of your tears using blotting strips of paper he places under your lower eyelid. These strips collect tears that Dr. Jadav evaluates to make a dry eye diagnosis. What treatments are available for dry eye? If you have mild to moderate dry eye syndrome, Dr. Jadav may recommend over-the-counter eye drops to give your eyes the moisture that your tears would. Dry eyes that come from underlying medical conditions may require different kinds of treatment, including medications to reduce inflammation or stimulate the production of natural tears. Dr. Jadav may also suggest other procedures to open blocked tear ducts or oil glands. How can I prevent dry eye? You should also have your eyes checked regularly to ensure they are in good health. Schedule an appointment to learn more about treating dry eye by calling the office or using the online booking feature.